Treat your dull skin immediately, here’s why! Do you wake up looking tired or with dull skin? Here is why it is important to take treatment for it. Dull skin is generally caused due to poor diet, lack of sleep, consuming alcohol, smoking, stress etc. Even without these factors, you may get dull skin due to exhaustion. It is important to look good in front of the ones who care for you. Your dull skin will only trigger sympathy and concern from them, not appreciation and praise. Dull skin treatment requires more than just an exfoliator, moisturizer, and creams. It needs a medical professional’s advice and treatment plan. You definitely deserve your friends and family’s appreciation and praise and not their sympathy and concern. You want them to look up to you happily and be proud of having you around. Dull skin if not treated will turn out to be a much bigger problem in the future. Depending on home remedies is always not wise. Some may work but some may worsen the condition. With the kind of climate and lifestyle we deal with, we need a quick and easy solution.You get both at Cure Skin App. 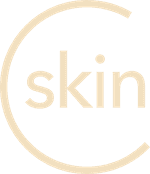 Your customised Dull skin treatment regimen from CureSkin will be delivered to your doorstep on time. Get yours today and start seeing the difference!